Competition is a big factor when it comes to running any small business. Have you thought about yours? Do you know how many dental practices are located near you? If you live and run your practice in Ontario, this is a statistic you should be aware of: according to the CDA, in 2013, there were 8,912 dentists. For those of you in Quebec, there were 4,720.5 Intimidating numbers, I know, and they have since increased over the years7, but you do have an ace up your sleeve when going up against the competition. Something you may not have known and that will cost you no money whatsoever. You have what’s known as “it” and, if you’re not familiar with what “it” is, then you do not watch reality shows (eg. The Voice, So You Think You Can Dance, MasterChef, etc). 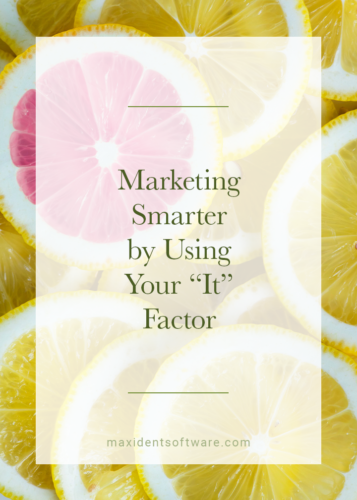 If this term sounds ominous, I’ll explain: your “it” is the one thing that makes you unique and sets you apart from the competition. If you’ve ever auditioned for anything in your life, you’ve been told (like me) that you need something that is going to play to the audience. You don’t want to be like everyone else. The same goes for the dental business. There are so many dental clinics out there, it might seem like an impossible feat to not just be a cookie cut-out. But I’m here to tell you that there is a way to avoid that sameness when it comes to marketing. Recently, I took an hour out to watch Simon Sinek’s Ted Talk, “Start with Why.” I watched some of his other videos, too, and I seriously recommend that you and your team take some time to watch. 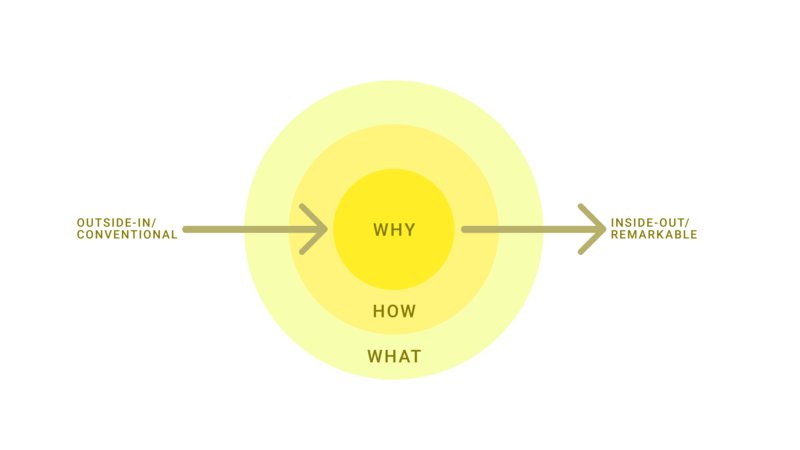 Simon Sinek describes his strategy using “the golden circle” pictured below: Your “it” factor is what makes you unique, in other words, your why as mentioned in the image above. So what does it mean to start with why? A lot of companies tend to start with what and how — what, being the service; how, as in how you perform the service. The golden circle depicts this way of marketing as conventional. But you don’t want conventional because that makes you like everyone else. Your why is what will make you remarkable; it is your purpose. It’s time to ask yourself why, not how and not what because those questions have already been answered. Ask yourself why you opened your dental practice in the first place. Finding this answer will also be what makes you unique. It is the inexpensive way to start really making an impact on the people who find your website online or your number in the Google search. And it will be the reason you receive calls from new patients asking for you as their dentist. People are drawn to a company when they understand and can relate to those running the company and their beliefs on a personal level. It is important to uncover your own personal why first; however, I firmly believe, that to start with why in your marketing strategy, you need to take a moment to step back from the present you and find the you that just started your dental practice. Now ask that you why they wanted to open a practice in the first place. Let’s be honest, the beginning is when you were the most sincere about your vision, purpose, and goals for the future. Go back there and suss out exactly what your goals were and what you really wanted to do for the people in your community. The point of marketing is to appeal to your target audience (your patients). Providing a purpose for doing what you do is taking the direct approach, not in selling, but in developing a line of communication between you and prospective patients. The reality is that too many of your competitors are offering the same services, the same way, for around the same price. The how nor the what can be considered your unique “it” factor; it’s the why, your purpose. The why of your marketing strategy is what will set you apart from your competitors, because in essence, your purpose aligned with what you do and how you do it will help you not only drive your practice forward and assist in acquiring new patients, but it will put you forward ahead of the crowd and, therefore, give your practice the edge you’ve been looking for. If you are interested in owning a copy of Responsible Dental Ownership: Balancing Ethics and Business Through Purpose, visit amazon.ca for more information.